The future of internet exchange points is collaboration, “the point is not to be the biggest, it’s to be clever enough to make sure you facilitate the entry of a new network, instead of wanting to be the only one connecting this new network,” says France-IX CEO, Franck Simon. It’s been a good year for France-IX. The company has been successful in attracting a number of corporate companies, in addition to CDN’s (content delivery networks) and ISP’s (internet service providers) – a move that CEO Franck Simon says was motivated by recognising that “corporates were part of the future of what IXP’s should be”, adding that the company needed to “differentiate from our competitors and be able to attract different players”. Over the last year alone, France-IX almost doubled the number of peering partners bringing the total to nineteen and, according to Simon, resellers are key to the company’s plans for growth. “Today more than 60% of the new networks come to us from outside of France,” explains Simon. “But it’s not to be confused with physically going international to reach customers, we need to have partners who are resellers that are using their infrastructure to collect the new networks and bring them either to Paris or Marseille (where France-IX has physical PoPs”. But it’s not just about the spatial increase. What’s key for Simon is the diversification of the types of resellers, to ensure the most options for customers. Simon says that they need “to have resellers that are able to differentiate from each other”. 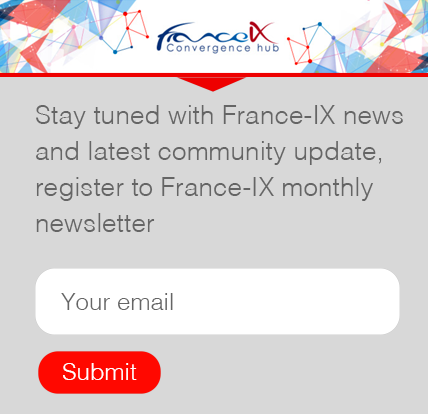 A year on from its launch, France-IX’s Marketplace offering has enabled it to expand its eco-system by presenting its peering members the ability to purchase the complementary IP related services in addition to peering services. And lastly in terms of services France-IX will continue to develop its reselling program but it will consolidate the number of resellers, especially those for its Marseille PoPs. Even if the IXP community turn out to be less than enthusiastic about Simon’s idea of a common global interface, the future certainly looks set to include some kind of collaboration. Initially published in Capacity Media on November 9, 2017.
in Aenean velit, commodo venenatis, ut at risus.